Attention: This product is now discontinued, so if you are looking for a new solar thermal product, please refer to theauroTHERM VFK 145. The auroTHERM plus range of solar thermal systems, area renewable technology range which can deliver up to 60% of your annual domestic hot water requirements, by installing premium flat plate collector panels on the roof of your property, which are connected to an indoor pump system, hot water cylinder and system boiler. 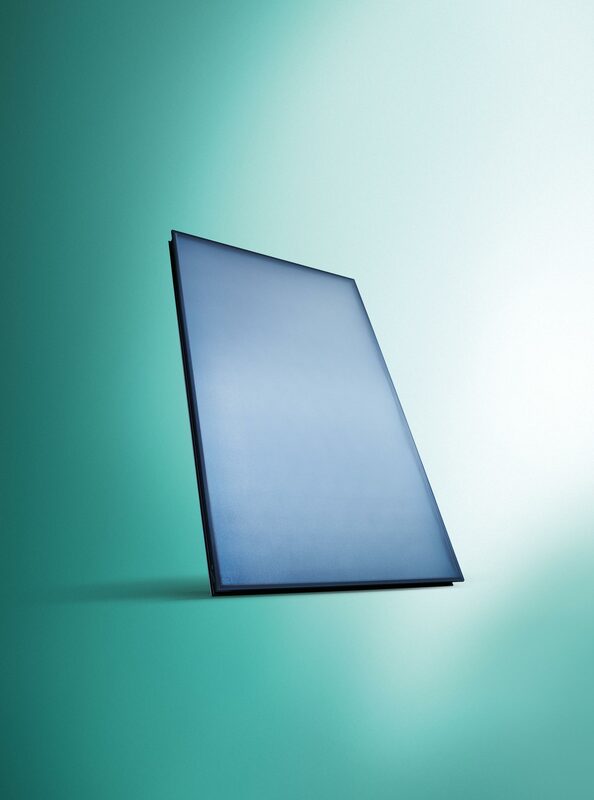 The auroTHERM plus range builds on all of the fantastic features of the auroTHERM range, and provides a more advanced solar thermal flat plate model. 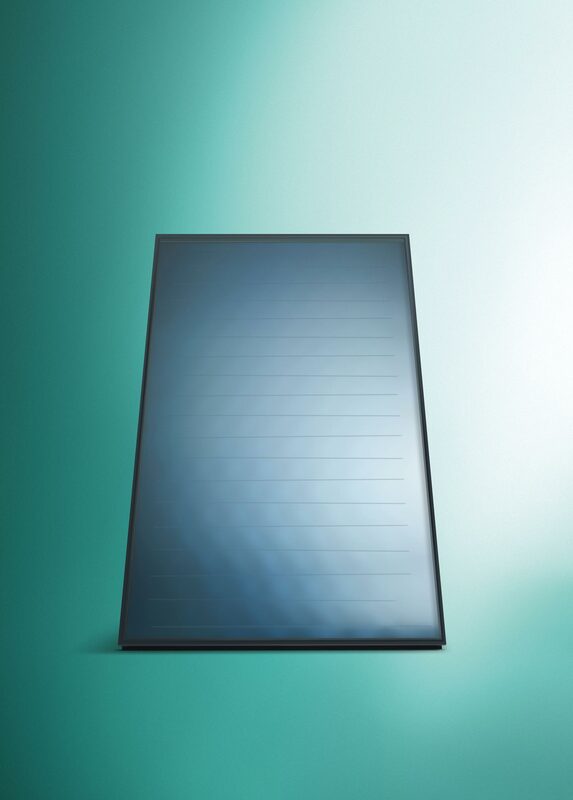 The auroTHERM plus collector panels features toughened glass for improved durability, and special anti-reflex coating for excellent solar transmission – which creates exceptional performance. The collector panels also provide a sleek and subtle finish, being encased in a black anodised aluminium frame for a neater appearance on the roof. Like the auroTHERM range, this advanced range can be used in vertical or horizontal installations for in roof, on roof or using a flat roof configuration. 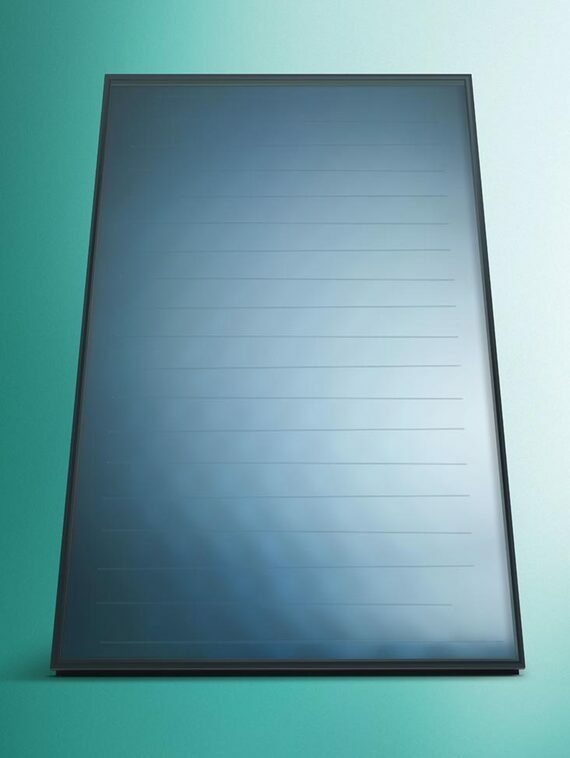 As with each of our solar thermal systems, the auroTHERM plus helps to reduce your carbon emissions at home by lowering boiler dependence for hot water, and can add significant value to your property. Many homes can have solar thermal technology installed alongside a new system boiler. A suitable home will need sufficient roof space for the required number of collector panels, and must also be the correct orientation (a south facing roof for example) to benefit from solar thermal radiation. A typical upgrade of an existing heating system to a solar thermal system will take between 2-3 days. Fully integrated solar thermal system which can deliver up to 60% of annual domestic hot water, and in summer months may provide up to 100% of your hot water needs. 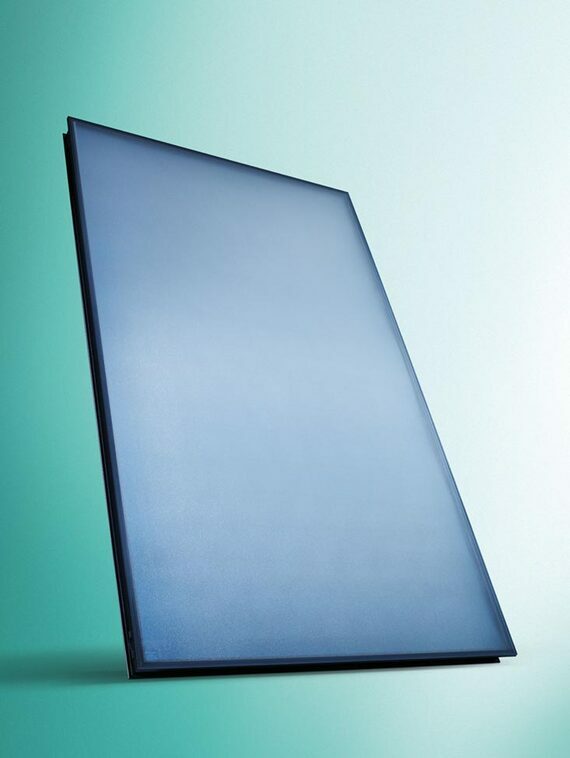 Anti-reflex coating on collector panels provides excellent solar transmission for improved performance. 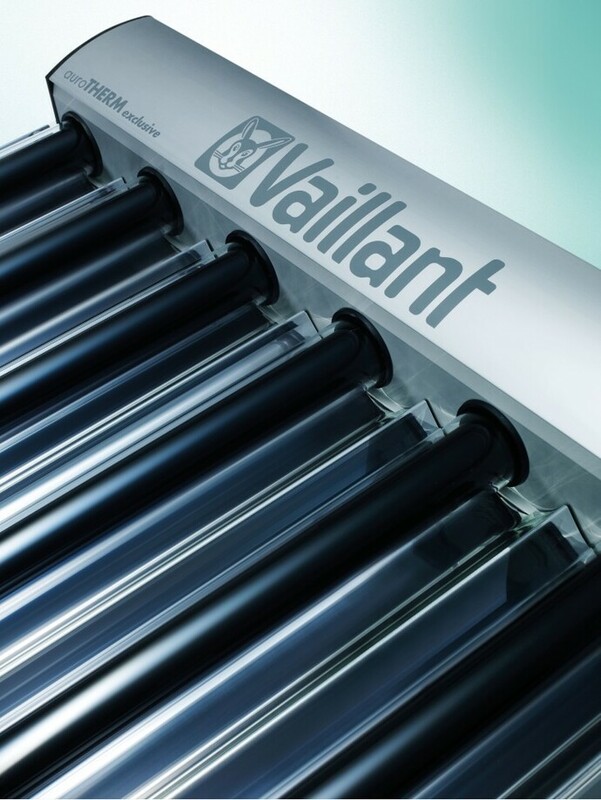 The system features Vaillant’s most efficient flat plate collector panels. 40mm rear insulation for increased efficiency. MCS approved for potential funding where applicable. Collector panels are covered by a 10 year guarantee giving you total peace of mind.